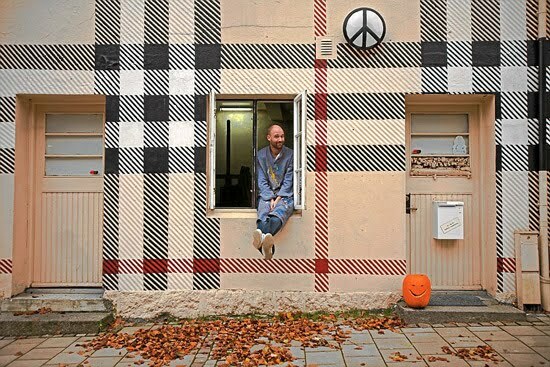 When I read the story of the Norwegian artist who painted his house Burberry-pattern a couple of years ago, I just had to use Burberry as an example of a brand that successfully use texture and pattern to set itself well apart from other brands. The ubiquitous beige apart, the texture and pattern of the Burberry check makes the brand one of the most easily recognized in the world without the word mark. The iconic Burberry check, formally known as the Haymarket Check or Burberry Classic Check was created in 1924. It has come a long way from being used just for the inner lining of Burberry trench coats as it has earned a rightful place on the exterior of many Burberry products. 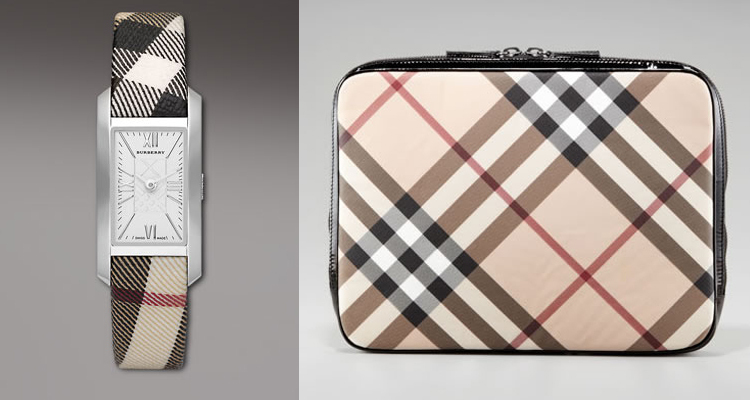 Today, you can find the Burberry check on wristwatches, scarves, glasses, umbrella, purses, clothing, shoes, perfume bottles and loved by celebrities and everyday people alike. Texture is the quality of an object which we sense through touch. It exists as a literal surface we can feel, but also as a surface we can see, and imagine the sensation might have if we felt it. Texture can also be portrayed in an image, suggested to the eye which can refer to our memories of surfaces we have touched. So a texture can be imaginary. Textures range from the smoothest polished mirror to the roughest mountain range as seen from an airplane. The term is often misused to refer only to rough surfaces but this is not correct. All surfaces have texture. A designer recognizes that different textures can trigger differing reactions from people. Some surfaces as suggested by their textures may be inviting or repelling. Using different textures can increase interest in a composition by adding variety without changing color or value relationships. However, while texture can make an image more interesting it is not a strong enough element to be useful for organizing a composition. Value and color contrasts are more efficient at that. Most textures have a naturalistic quality; they repeat a motif in a random way. A motif is any recurring element (could be shape, color, direction etc) in a composition. A recognizable motif regularly repeated produces a pattern. Pattern requires repetition – in design as in life (a pattern of behavior). The more regular the repetition, the stronger the pattern. Texture and pattern are related. When you look closely at a tree you can see the pattern of leaves that make its surface. When you back away you loose awareness of the leaves and notice the texture the leaves make on the tree. Farther away still and you can see the pattern of the trees making up the forest and finally the texture of the forest. In this way pattern changes to texture as you loose sight of the individual motifs. Patterns are generally more noticeable than textures. This makes them a stronger visual element for controlling attention. More brands should imitate fashion brands like Louis Vuitton and Burberry, by designing a brand identity that includes signature patterns that they can truly own even during a blind test. Tap into the power of patterns.